Welcome to my website. In it, you can find out about my books and how you can obtain free samples &/or purchase them, as well as news about my current projects. The first three books are a science fiction trilogy, set in the not too distant future, when humanity has already colonised Mars, but needs to escape from the confines of this solar system in order to secure its long-term future. In it we discover how to travel long distances effectively, as well as learning something about our development as a race. Like most science fiction, it addresses today’s issues in a way that is unconstrained by the politics of the world. To take a lead from the great SF writer, Isaac Asimov, this is really 'future history'; ordinary things happening to ordinary people in (perhaps) unusual surroundings. 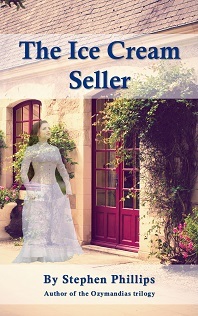 The Ice Cream Seller, an historical murder mystery, looking at the life of a young woman in four different time periods is now available on Kindle. at a UK price of £2.02 (free on kindleunlimited). It is now also available as a paperback directly from the publishers for £5.25 + p&p. My fifth novel, Raptor, is a spy story set during the First World War. It follows the adventures of brother and sister team Edgar and Agatha Smythe as they travel through war-torn northern Europe in pursuit of a spy within the British army. Their activities are hampered by the activities of a hated cousin, a Generalmajor in German intelligence, risking not only their lives, but Agatha's virtue. This book is now available on Kindle. I am currently working on my sixth novel, The Templar Pitt, which is set in the early thirteenth century and follows the life of a master carpenter who becomes mixed up iwith the machinations of King John and the Knights Templar. My books are now available on iTunes/iBooks: Ozimandias (free); Heraclitus; Zarathustra, The Ice Cream Seller. Please use the Buy link. This is the story of how a young astrophysicist, Dr Rebecca Nairn and a group of like-minded scientists use emerging technology to escape the solar system for the first time. Rebecca meets a man who will have a massive impact on her life. Together they face the challenges presented by vested interests on both Earth and Mars, in an attempt to create a new society well beyond the reach of those who wish to stop them. This is a story of love and betrayal against a background that is all too similar to the problems we face today. Overcoming them demonstrates that nothing really changes in human nature. The settlers have started to explore their new surroundings and discover something that makes them rethink their relationship with the planet. They are gradually joined by others from Earth, yet still the settlers face opposition from various factions - on Earth and on Home - who have an agenda of their own. Will they survive? And, if so, at what cost? And if they do survive, what will they find out about themselves and their environment - and the history of humanity? The second installment of this adventure is now available as an e-book and will be published in paperback shorlty. Please contact me to be kept informed . It involves a journey far beyond anything that the original members of the Ozymandias project team could ever have imagined possible. Please contact me to be kept informed about future books. Lucy Bowen has recently lost both her mother and her boyfriend in short order. She would rather curl up with a book, a glass of wine and her cat, than go out on a cold November evening with her friends to see a psychic show. When she gets there, she is singled out for a message from ‘beyond the grave’, starting an adventure which will lead to a series of deaths spanning almost a century and a half, in which young women are raped and killed – apparently by the same man. Lucy finds her relationship with the psychic developing in ways she had not expected, as they delve into the history of murders taking place in 1865, 1915 and potentially in 1944, too. I have just finished reading "Ozymandias". What a book! The concept from the beginning had me intrigued and I was fascinated by the way you encompassed the intrigues from the Mars colony and the Mythology of the "Cult of Mithras" into the story. This stands on a par with Sci-Fi books I have read over the last 50+ years, including such names as Isaac Asimov, Paul Capon, Frank Herbert, and my absolute favourite Arthur C. Clarke. I cannot wait for "Heraclitus". RR, Sci-Fi fan, Folkestone, Kent. 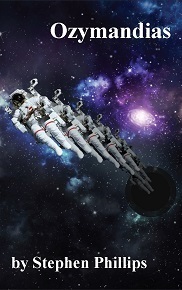 I would rcommend this to sci-fi readers for sure ... Click to read full review. Writers really do like to hear what people think abgout their books. If, after reading mine, you would like to write a brief review that I can put on this website, please use the contact page to e-mail me. 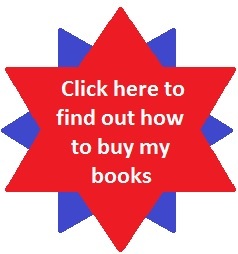 You can also write a brief review on either Amazon's site for the Kindle - or the publisher's site for the paperback, using the links in the next column for each book. ZARATHUSTRA, part three of the Ozumandias trilogy, is currently being proof-read and should be available on Kindle by late July. In print later. OZYMANDIAS and HERACLITUS are now both available on Kindle. Please visit the store via your device and search for the title of the book or go online to the Amazon store by clicking here for Ozmandias or here for Heraclitus. You can now also purchase the books in paperback from Amazon, using the same links. The Ice Cream Seller is now awailable on Kindle, click here to view, and on iBooks, click here. My latest book, Raptor, a story set during World War I, is now available on Kindle. click here. The next story should be available during 2017 and is set against the background of the Knights Templar. 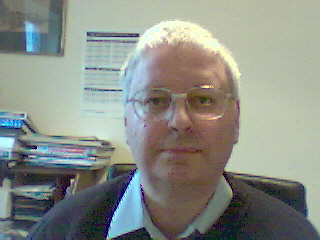 Stephen Phillips has been writing professionally for many years, focussing on investment and economic related issues. He has recently left the financial services industry in order to concentrate on creative writing. He is married with two adult children and lives in Kent.